For all intents and purposes, the government is now in full campaign mode, although the May election won’t be formally called until next month. Scott Morrison will re-elevate the border security issue on Wednesday with a visit to Christmas Island – taking a batch of media representatives from Canberra with him to ensure maximum publicity. With the Medevac legislation receiving royal assent last Friday, Morrison will make announcements around the handling of transfers. The government has said that evacuees will be sent to the reopened Christmas Island centre. It has also previously said it expects a large number of people to be transferred. Under the legislation transfers would be in the hands of doctors unless the minister stopped them on grounds of security or a person’s criminal record. But government sources said it was difficult to put together the medical appeals panel that the legislation provides for, because its members can’t be paid. A Labor amendment prohibited payment in order to get around a possible constitutional problem. 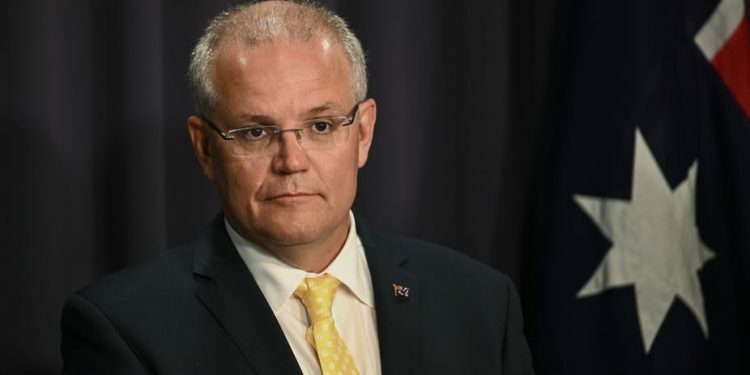 Morrison said on Tuesday that he had greatly regretted that the Home Affairs department advice was “that we would have to reopen Christmas Island in response to Labor’s Medivac bill which basically undermines and ends offshore processing as we know it today”. “We will be making sure that the arrangements are in place … to stand that facility up to deal with any transfers that may arise,” Morrison said. Julian Burnside, a long term activist on refugee issues was on Tuesday announced as Greens candidate in the seat of Kooyong, standing against Treasurer Josh Frydenberg. He accused the government of engaging in people smuggling by turning back boats. Burnside has just joined the party; he said “politics is broken in this country” and is emphasising climate change in his campaign. As well as saying the Medevac legislation has sent encouraging signals to people smugglers, it claims more transferees will mean that some Australian residents seeking health services will be disadvantaged. Parallel with the scare around refugees and asylum seekers, Morrison is also prosecuting an economic scare against Labor. He is hinting that an ALP government would see a recession – but without actually saying so. Pressed on whether the implication of what he was saying was Labor policies would trigger a recession, he said: “Well I can’t predict how bad things would get under Labor. I really can’t”. Shadow treasurer Chris Bowen accused Morrison of irresponsibly talking down the economy. While the campaigning is going on, behind the scenes the government is putting its April 2 budget together. On Tuesday the cabinet’s expenditure review committee met. Meanwhile in the battle for the Sydney seat of Warringah, Tony Abbott, who is under pressure from independent Zali Steggall, on Tuesday opened applications for a “Battlelines Bootcamp”. “Battlelines Bootcamp will introduce recruits to best-practice campaign techniques and provide on-the-ground practical campaign training,” the pitch on Abbott’s Battlelines website says. The eight-week internships for up to 20 enthusiasts will be “based in the Warringah campaign”. Abbott is seeking “people with advanced IT skills who have a demonstrated commitment to the values of the Liberal Party”.